When you think of the world’s most famous technologists, engineers and scientists, who springs to mind? Steve Jobs, Bill Gates, Elon Musk, Mark Zuckerberg, Jeff Bezos, Stephen Hawking, the list goes on… And whilst these male leaders are of course highly accomplished in their individual fields, what is strikingly apparent is that no women feature on this list. Additionally, Research has shown female role models are a key factor in reducing the shortage of women in STEM. So shining a light on these achievements is essential to improve job equality through inspiring the next generation. From Marie Curie to Grace Hopper, we highlight some of the top 10 female innovators through the ages that everyone should know about. Spread the word! First on the list is none other than Marie Curie. Born in Poland in 1867, Curie was a physicist and chemist most well known for her landmark research on radioactivity. Working with her husband, she developed and coined the theory of radioactivity, discovered two elements; polonium and radium, and oversaw the initial research into treatment of medical illnessesses with radioactive isotopes. But it doesn’t end there, she was also famous for her charitable work and philanthropy. During World War I, Curie developed mobile X-Ray units for use in field hospitals. To continue her legacy, she founded the Curie Institutes in Warsaw and Paris. These two facilities are still carrying out world leading research to this day. These achievements resulted in Curie not only being the first woman to win the Nobel Prize, but also the first person to win two! 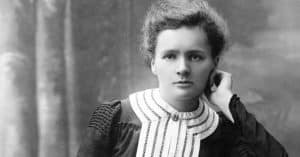 On the 4th July 1934, Marie Curie paid the ultimate price for her unrivalled commitment to her work when she tragically died of conditions linked to radiation exposure. Widely credited as one of the first computer programmers, Grace Hopper is an American computer scientist who directed the team that developed the first compiler. Hopper held the belief that computer programming languages should be as easy to understand as English, which led her to develop a programming language in 1954 called FLOW-MATIC. This language converted machine source code into an easy to understand English-based language. 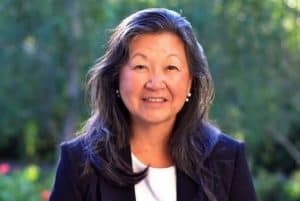 She then went on to lead the team that developed COBOL, a high-level programming language based on her earlier work with FLOW-MATIC. This language is still in use today! She was awarded no less than 40 honorary degrees from universities across the world for her work and had a college named after her at Yale University. 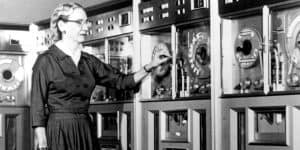 Grace Hopper’s work helped to convert programming languages that were previously only understood by highly trained mathematicians into an accessible English-based language – a direction many in the industry disagreed with. This really laid the foundations for the future and gave people the freedom to develop computer programs like never before. Much of what we have today is owed to her early pioneering work! 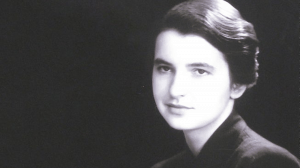 Rosalind Franklin was a female scientist famous for her chemistry and X-ray crystallography research that led to the discovery of the structure of DNA. The infamous ‘Photo 51’ taken in her lab was shared with James Watson and Francis Crick by her colleauge Maurice Wilkins without her permission or knowledge. It gave evidence and provided much of the inspiration for the double helix structure of DNA developed by Watson and Crick, who won the Nobel Prize for the discovery in 1962. Tragically, Franklin died 4 years earlier from ovarian cancer – likely as a result of her exposure to radioactive materials – and her work was never recognised in her lifetime. Although Watson and Crick said Franklin deserved the Nobel Prize for chemistry, the award is not given posthumously. We honor her work and commitment by recognising her as one of the top female innovators of her time! Much of what we know about DNA today is based on this early discovery. Ann Tsukamoto is a medical scientist who helped discover human blood stem cells. Tsukamoto and her husband then went on to pioneer the techniques used to isolate these stem cells so they can be used to treat blood cancer patients. A treatment that has undoubtedly saved hundreds of thousands of lives worldwide. Ann has continued with her groundbreaking research, and is now the co-patentee on 7 other leading medical inventions. As is often the case with big tech companies, all we ever see and hear about are the faces at the top. Facebook is the perfect example of this. With a market cap in excess of $450 billion, there are of course thousands of employees other than Mark Zuckerberg who make Facebook the huge success it is. 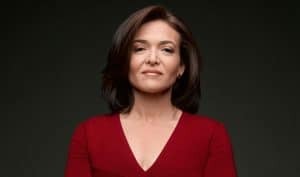 One such employee is Facebook COO Sheryl Sandberg, who is one of the nations most influential female tech leaders. Previous to being appointed this position, she held an executive role at Google and was named in Time’s top 100 most influential people in 2012. Sandberg has a net worth of over $1.6 billion and has been credited with hugely increasing revenues at both companies. Money aside, she is also a philanthropist and women’s rights activist. In 2013, she setup the non-profit organisation LeanIn.org, who are committed to supporting women in education and community. She also helped to set up Google’s charitable arm Google.org. 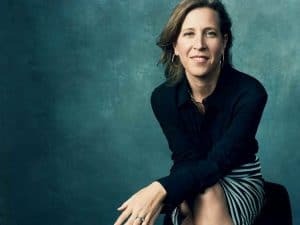 Another similar figure to Sheryl Sandberg is long time Google employee and YouTube CEO Susan Wojcicki. After Google became incorporated in 1998, the company set up its first office in Susan’s garage! The following year in 1999 she became Google’s first marketing manager. Over the years she has played a pivotal role in developing Google’s most lucrative advertising platforms, including Adwords and and Adsense. In 2006, she proposed and oversaw the acquisition of YouTube for $1.65 billion and was then made CEO in 2014. Since then she has helped turn YouTube into one of the worlds most lucrative media and advertising companies. These achievements have led to her being named the ‘most important person in advertising’ in AdWeek, reaching the Time’s Top 100 most influential people in 2015 – who also later described her as the most powerful women on the internet. Again, putting the business aside, she has also been very vocal about the lack of female representation in Silicon Valley. Since taking the helm at YouTube, she has helped increase the proportion of female employees from 24% to 30%, as well as Google’s to 31%. Arianna Huffington, rather unsurprisingly, is the co-founder of popular online news outlet The Huffington Post. The company grew incredibly quickly and was acquired in 2011 by AOL for $315 million, just 6 short years after it was founded in 2005. Arianna remained as president and editor-in-chief before stepping down in 2016 to launch another startup, Thrive Global. When it comes to female tech leaders and innovators, China really are leaving the west behind. For example, it is estimated that women in China have founded 55% of new internet companies and some 61% of companies have at least one female director. One such prominent leader is Jean Liu, president of DiDi Chuxing – the main competitor to Uber’s Chinese expansion efforts. Under Liu’s command, the company successfully outmaneuvered Uber in 2016, which resulted in Uber backing out of China in return for a stake in DiDi. Lui has been awarded various accolades, including a feature on the Times 100 most influential people in 2017. Her commitment to reducing pollution and congestion in Chinese cities has also earned recognition from Apple’s Tim Cook. Additionally, she has also championed diversity at DiDi with women occupying 37% of roles. She also launched a women’s leadership program within the company to help women reach executive positions. 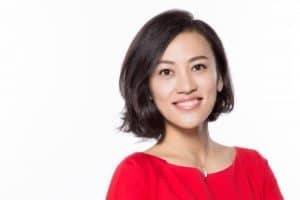 Cher Wang is another East Asian tech leader, entrepreneur and philanthropist. She is the co-founder of HTC, a mobile technology company which now manufacturer’s 1 in 6 smartphones in the USA alone. Wang has a net worth of $1.6 billion making her one of the most successful and powerful female tech leaders in the world. Chang has made several significant donations to charities and educational organisations. Most notable was her $28.1 million donation to set up a charitable college in China that provides free or low cost education to kids from low income backgrounds. Why Are so Few Women and Girls Working and Studying STEM?